Everyone knows that there has been an extremely intense race for the chance to become the 2018 Boys’ State governor. 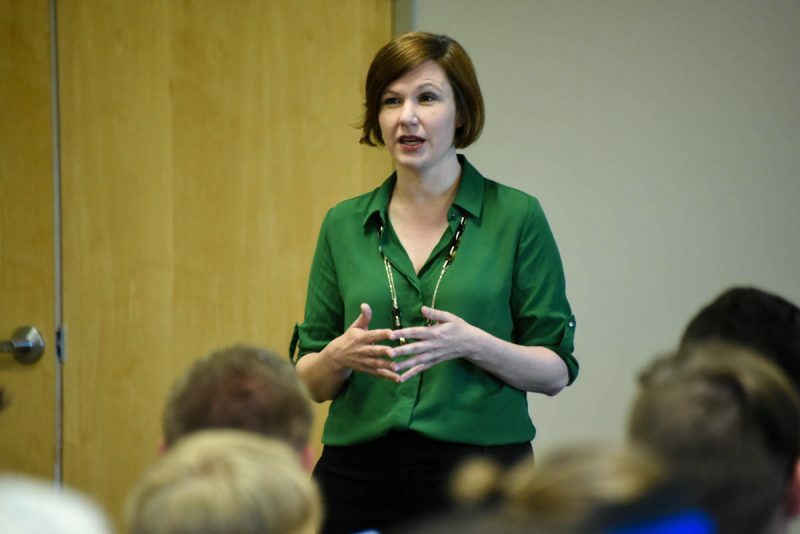 This race picked up significantly on Thursday when all of the candidates for each party gathered and tried to win the vote of their fellow party members. Each candidate was given the opportunity to deliver an opening statement for one minute. Following this, the candidates moved from town to town for a three minute Q and A session. After this, the candidates were allowed to ask one other candidate a question on stage. The party meetings were ended with a short closing statement from each candidate. 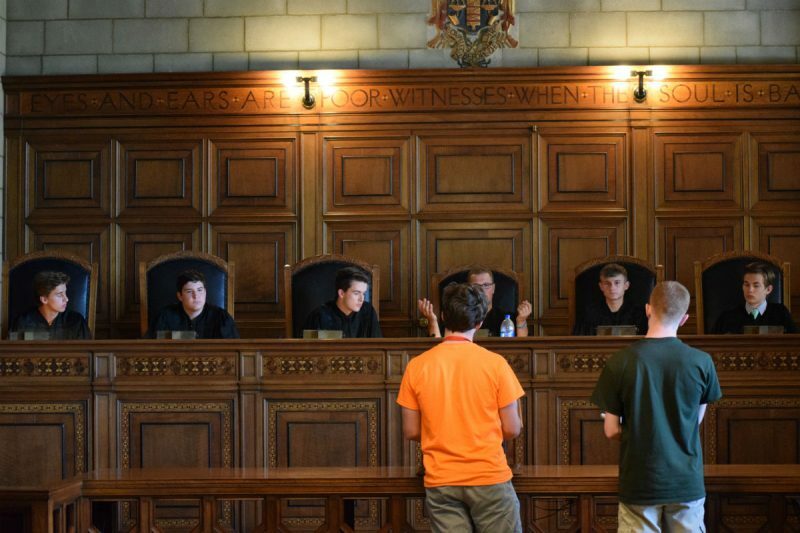 Following a short joint session with Girls’ State, each of the towns raced back to Harper Hall in order to cast their ballots in the hopes of being the home of the future Boys’ State governor. Lieutenant Governor Mike Foley started his career in Nebraskan Politics running for Senator. Eighteen years later, he is now our state’s Lt. Governor. During the 2018 Boys’ and Girls’ State Lt. Governor Foley came to discuss some of the more pressing issues in today’s government. He opened with discussing some of the recent accomplishments of the Nebraskan Unicameral, some of which were international trade talks for Nebraska agriculture products such as beef and works on a successful budget. One of the noteworthy facts about this new budget is how comparable it is to those drafted by Boys’ Staters. All week the main solution given out by campers was to lower and raise different taxes, but what Lt. 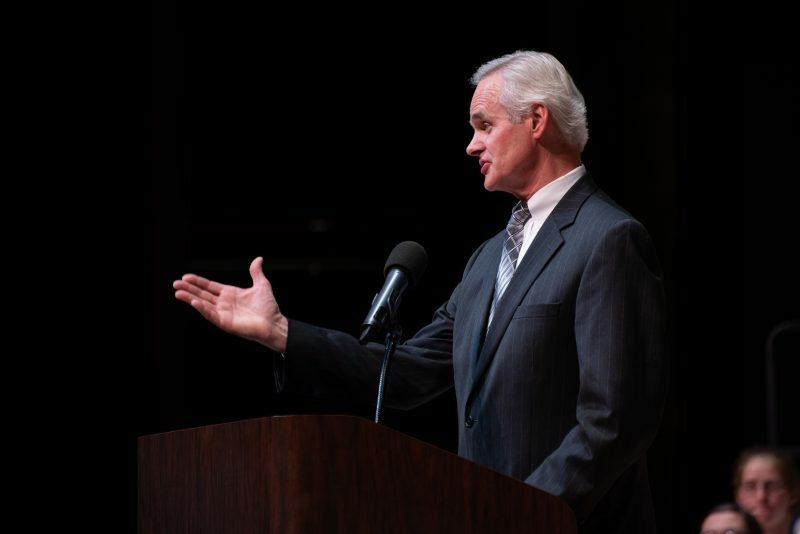 Governor Foley told the attentive listeners was the cutting of funds instead of raising taxes. During questions, campers asked many of the issues discussed throughout the week. When the topic of Property Tax got brought up the Lt. Governor made it clear how those in Western and Central Nebraska, especially those affiliated with the agriculture business, need relief by having it lowered. The only thing in the way is the bickering within legislation in which a handful of senators can’t agree on one solution. He stressed how detrimental this is to the agriculture business in Rural Nebraska and Nebraska as a whole who rely on agriculture. The hope is that those of you who are reading will be able to find the answer to this problem for Nebraska and can accomplish what politicians of today can’t. Most Nebraskans know nothing beyond our two party system, hence why the Libertarians only have 13,500 members enrolled. While the party is the fastest growing in the state, it is far from having any mainstream appeal. Gene Siadek, the treasurer for the Nebraskan party came to speak to a full house of interested senators. Right off the bat, the lecture was interrupted by a test tornado warning and Gene used it as his first argument for why the government has too much meddling. He said that we are all intelligent enough to know if there is a tornado, but soon conceded the point that severe weather warning systems were important in society. To redeem himself, he headed a fiery debate over whether intense regulations on business was really necessary. He argued that consumers should have the final say in whether or not a business fails. He then went on to try to display what the Libertarian party stands for, and he answered a few questions along the way. 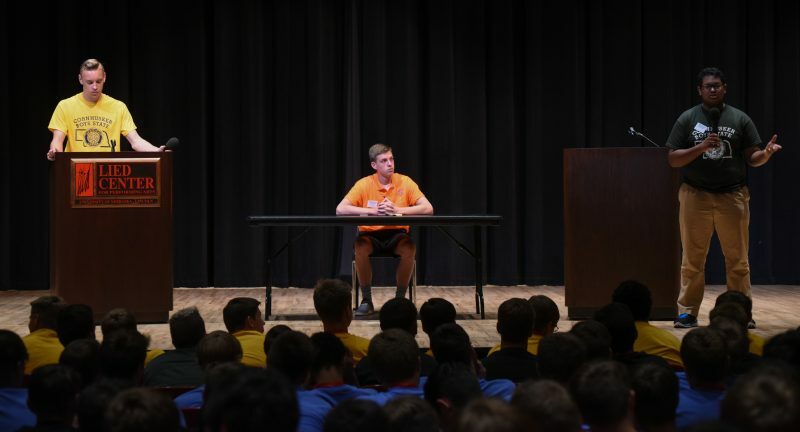 In the end, Mr. Siadek accomplished his goal of informing the young men of Boys’ State that there is indeed a third choice.